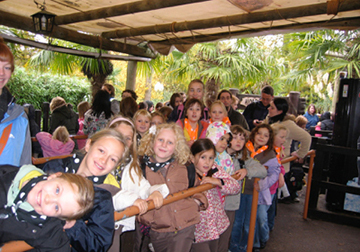 Brownies for girls between 7 and 10 years old meet at St Peter’s Church on Tuesdays in term time between 6 pm and 7.15 pm. The fee for each term is £20 with an additional £12 joining fee. Parents are advised to put their child’s name on the waiting list well in advance of their seventh birthday to ensure a place. For more information, email the Brown Owl at 15thhammersmithbrownies@gmail.com or visit the national GIRL GUIDING website.